The cloud is the new way to work for every business large and small. Making the most of that means having the best information possible. At Oktane 2017 August 28-30, more than 2000 IT professionals plan to come together and make life simpler and more secure for all. 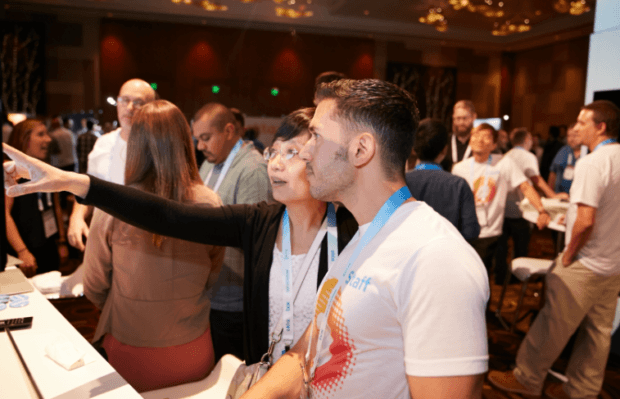 Okta is a leading cloud identity and security management firm, and this is its third conference designed for IT professionals to learn and grow in the cloud computing world. The Aria is the perfect place for a cloud computing conference. At 600 feet tall, it’s very close to the top of Vegas. The agenda for attendees is equally as large. There are eight different keynotes and learning tracks to take cloud utility and security to the next level. The conference kicks off Monday August 28 at 5:30 with the welcome reception. The planned keynote speakers are Okta CEO Todd McKinnon, Ben Horowitz of Andreesson Horowitz, Ginna Raahuage of Catholic Health Services, and current NBA Champion head coach Steve Kerr of Golden State. Learning tracks available throughout the conference include lifecycle management and innovating through existing infrastructure, managing diversity in the cloud, controlling access and identities online, security in the changing cloud business world, mobility across platforms, and app and API development to grow the utility of the cloud. Another benefit of attending is earning CPE credits toward ISC2 certifications. This is vital for security pros to maintain a current knowledge base. For more learning and certifications, Okta offers certifcation exams and targeted pre-conference training classes to super charge the experience. Click here for details. Cost for the conference is $895. You can register HERE. There are discounts available based upon your non-profit status and bulk purchases. Many other questions about the conference are answered HERE. Rooms are available for a discounted rate of $169 per night on a first come first serve basis.